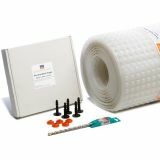 A complete range of damp proofing products and basement waterproofing systems. Representing quality, value and technical excellence. 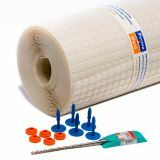 Prevent and control water ingress in basements with PermaSEAL cavity drain membranes. 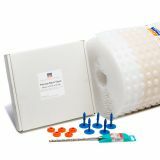 Protect your property from damp with PermaSEAL damp proof membranes. Protect basements and cellars with PermaSEAL cementitious tanking slurries. Safely and effectively deal with water ingress below ground with PermaSEAL basement drainage products. Why should you choose PermaSEAL? PermaSEAL is trusted by professionals to get the job done. Our high quality products are easy to use and represent value for money. We work hard to ensure that the support and level of service you receive is unrivalled. PermaSEAL represents a complete solution. For us, this means providing the information you need to get the job done. You won't find any jargon in our technical sheets or across our Help and Advice section. There is no question too simple or complex for our experts. We only manufacture to the highest standards. Rigorously tested, made to last and with zero compromise, our PermaSEAL products give you the confidence you need. Independence matters. It gives us the freedom to make the PermaSEAL range available to everyone. It means being able to provide high quality products at affordable prices. It means being able to share the knowledge required to get the job done.